Ecodry CNREC is a professional dehumidifier with heat recovery very high efficiency. They are intelligent, ducted to the ceiling, used in domestic, residential and commercial. They allow you to dehumidify, cool, heat and changing the air by heat recovery of exhaust air with minimal energy consumption. 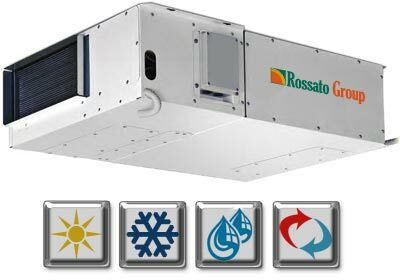 They are indispensable in air-conditioning systems with radiant floor, wall or ceiling. If you are interested and would like to receive a quote or visit our official fill immediately the contact form. 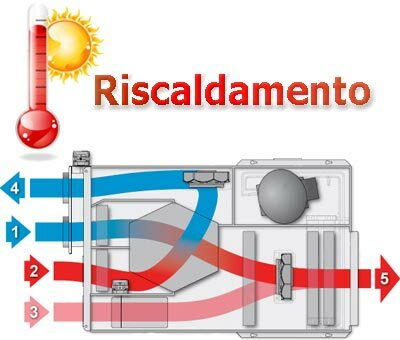 A good system of controlled mechanical ventilation ensure fresh airHealth, well-being and energy saving. Especially in buildings with good insulation and high energy efficiency classes, it is important to provide replacement air without wasting energy by opening the windows. This simple gesture, in addition to releasing the heat accumulated in the environment, it also causes the entry of dust and pollutants that make the air even more unhealthy. The system of controlled mechanical ventilation also allows you to recover some of the energy from the exhaust air to re-enter it in the form of heat or cool air (depending on the season) in the house. 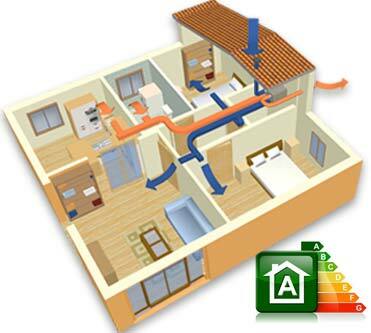 Controlled mechanical ventilation ensures reduction of management costs and a increase in the energy class property. We must pay close attention to the level of relative humidity in the air: too much humidity causes mold, bacteria and odors on the contrary, very little moisture may cause irritation of the throat and trouble breathing. 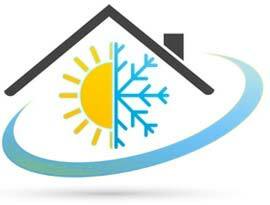 Getting a proper moisture content in the air is needed to create a healthy and comfortable. In particular, in a cooling system with radiant panels it is essential to install a dehumidifier in order to avoid the formation of condensate that would be detrimental to the health and to the plant itself. Ecodry CNREC is the solution to maintain the right level of moisture in the air and to ensure air exchange with heat recovery. 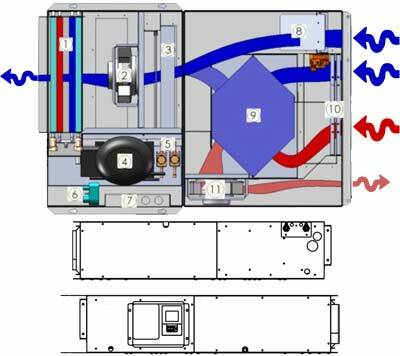 The dehumidifiers Ecodry CNREC were designed to be combined with radiant panels for cooling floor, wall or ceiling. Ecodry CNREC is the solution to maintain the right level of moisture in the air, guarantees comfort and energy savings, if you want to learn more about this product, get a quote or a visit from one of our officer, immediately fill out the contact form. Ecodry CNREC dehumidifiers are available in multiple sizes and with different types of operation. 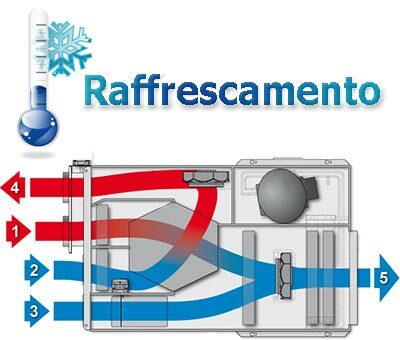 The Ecodry CNREC (isothermal), if fed properly chilled water 15 ° C, are able to dehumidify the air environment without altering the temperature. This is possible thanks to the presence of 2 heat exchangers that have the purpose of pre-cool the incoming air and post-cool it after the process of dehumidification. The CNREC DC are dehumidifiers contribution refrigerator: Brazed plate capacitors with a thermostat and internal environment through the unit, in addition to dehumidify, provides cool air when the ambient temperature exceeds the set temperature. Combining with the dehumidifier 'heat recovery units, Dehumidified air is supplied and healthy, thanks to the duct system, is widespread in every building or in any premises, increasing comfort and reducing energy consumption. The heat exchanger with counter current flows allows you to recover more than 90% of the energy contained in the exhaust, with a significant savings in heating costsImproving the classification efficiency and the value of the building. The duct system and the remote controller allow you to control dehumidification moisture in each environment, assuring maximum performance of the radiating system. Ecodry CNREC is the solution to maintain the right level of moisture in the air, guarantees comfort and energy savings, if you want to learn more about this product, get a quote or a visit from one of our officer, fill immediately the contact form. The unit has a pleasant and is lined with sound absorbing material that reduces the noise level to exceptionally low levels. All screws and fasteners are made of non-oxidizable. The fans are of the electronic type adjustable, with brushless permanent magnet motor with built-in inverters of the latest generation, which provides a system of mechanical ventilation efficient that optimizes energy consumption. To achieve high efficiency and low noise, the unit CNREC use centrifugal fans blades reversed combined with brushless EC motors with modulating signal 0: 10V. The onboard microprocessor manages the synchronous rotation of the rotor and provides for keeping the synchronism and thus the maximum efficiency. The heat exchanger in countercurrent high efficiency, maximizes the energy exchange between the air flows into and exit allowing maximum energy recovery. Made of polystyrene, allows energy recovery in excess of 90%. Designed to allow the heat exchange between the refrigerant and air or water through a series of pipes of diameter 9,52 mm with automatic process and controlled, aluminum fins 0,1 mm thick. Allow to reduce the pressure drop on the air side, the benefit of efficiency and sound power emitted by the fans. Hermetic reciprocating compressors are equipped with motor protection against overheating, over-current and against the extreme temperatures of the gas flow, are mounted on rubber vibration dampers, complete with oil charge and placed in a soundproofed compartment with soundproofing material. The solenoid valves are used to control the flow of liquids with loads of on / off type. The principle of operation consists in the application of electric current to a coil that creates a magnetic field. 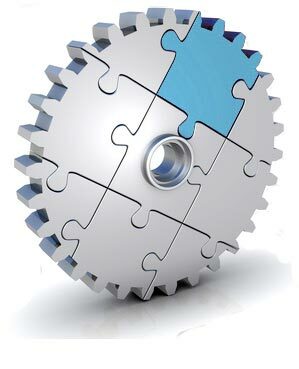 This is transformed into mechanical energy, which opens or closes the valve. 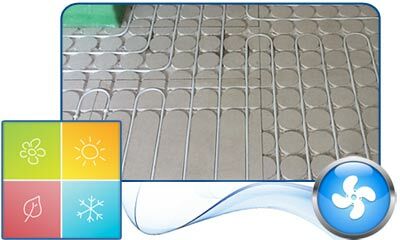 The brazed plate heat exchangers are made of stainless steel AISI connections, characterized by a reduced carbon content to facilitate brazing. The high turbulence induced by internal corrugation of the plates combined with the perfectly smooth surface of the same, making it difficult to deposit dirt. 6 models are available with different dehumidification capacity. Are you a designer, installer, or dealer of plumbing material?